This family-friendly hotel in the heart of beautiful Napa Valley offers comfortable accommodations and modern amenities. 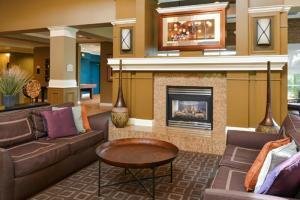 Every room provides complimentary WiFi, an ergonomic work space and a 42-inch HDTV. Families will love the hotel's proximity to a wide variety of outdoor activities, while wine lovers will be spoiled for choice with more than 270 local wineries nearby. Located in the heart of wine country, this hotel is just minutes from downtown Napa and the historical waterfront.